When you want expert auto glass installation at the best prices in the industry, call the best…we have fast free dependable service that comes to you! We are your neighbors! We work hard while you're at work, out and about or just away for the day. We come to you and fix your glass so you can enjoy your day. Centennial State Auto Glass is an ACCREDITED BBB Business with an A+ Rating. We are a local, family-owned business that strives to provide the best personal services possible. 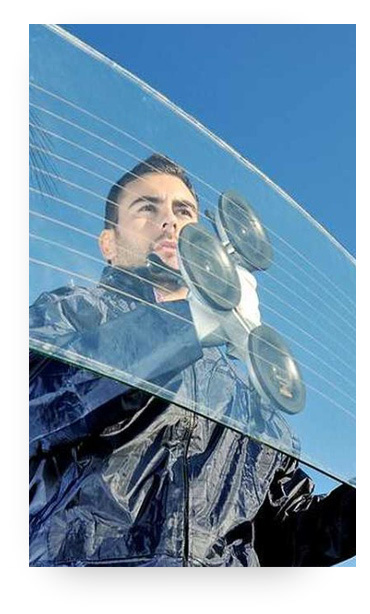 We are dedicated to providing quality auto-glass services. We draw on past experiences (achievements and failures) to provide the vision for our future and to set the standard for excellence in our industry. low prices and total commitment to each and every customer’s safety, our total focus is on you, our customer. Repairing your auto glass is a cost-effective way to fix minor chips and cracks in your vehicle's front windshield. From the back window of a hatchback to a quarter glass on a Mustang, Centennial State Auto Glass can replace the auto glass on any vehicle. A car window regulator is the device that makes it possible for your power windows to go up and down. Replacing a car window regulator can be a very time-consuming task. Please give us a call for quote on replacing your regulator. Our mobile auto glass services provides our valued customers with flexibility of arranging morning or afternoon appointments at a location that's convenient, such as the home or office. We offer onsite auto glass replacement in all areas that we service at no additional charge. As a trusted auto glass repair business in Pueblo, CO, our customers' safety is our top priority. Read what our happy clients have to say about their experiences with us and the quality of our work. Great service! Fast and the best price I found around town! Centennial State Auto Glass did a wonderful job on my car windshield. They not only have great service, but also went above and beyond to accommodate my schedule to get the job done! Centennial State Auto Glass did a great job at replacing my W/S, and as promised, with the warranty, fixed a rock chip a few months later-THANKS! Centennial State Auto Glass has been replacing our windshields for years and we always like the personal service. I would reccomend them to anyone!